This lovingly preserved Colonial balances historic charm with modern convenience. Hardwood floors throughout, working fireplace, two-zone central AC, updated kitchen and bath. First floor features a large, open living room with built-in bookshelves, dining room, updated eat-in kitchen, classic 'Maplewood room,' and a wrap-around screened porch. Second floor includes a large master bedroom with nursery/dressing room and renovated en suite bath, plus two bedrooms and a second bath. Third floor adds a fourth bedroom plus cedar closet and storage. The artfully landscaped backyard has raised beds for your vegetable garden, a wooden deck for the grill, and restored original garage. 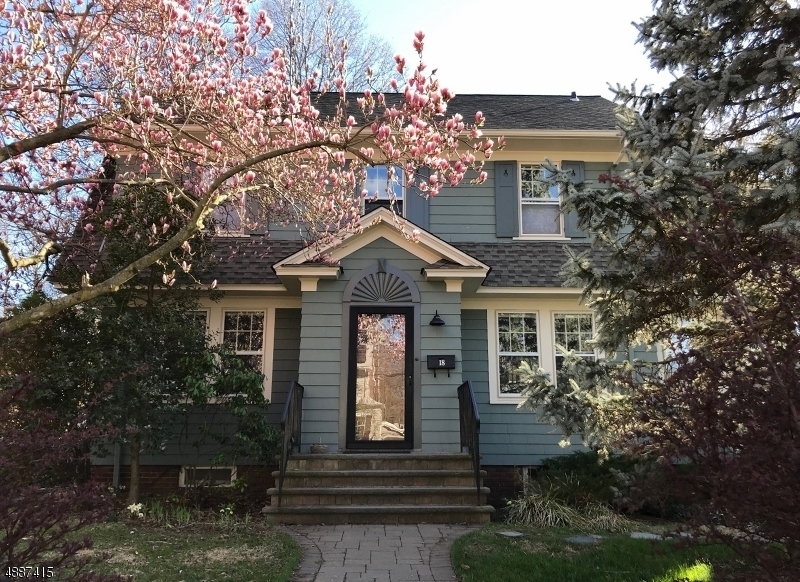 Just minutes by foot to Maplewood train station and village. Directions: Near corner of Prospect St and Parker Ave in Maplewood, 2 blocks from CHS.